The longer I stay in Los Angeles the more natural my life is becoming. It's not as a way to "fit in" but having almost unlimited sunshine makes me want to take care of myself, and all that surrounds me, more than usual. 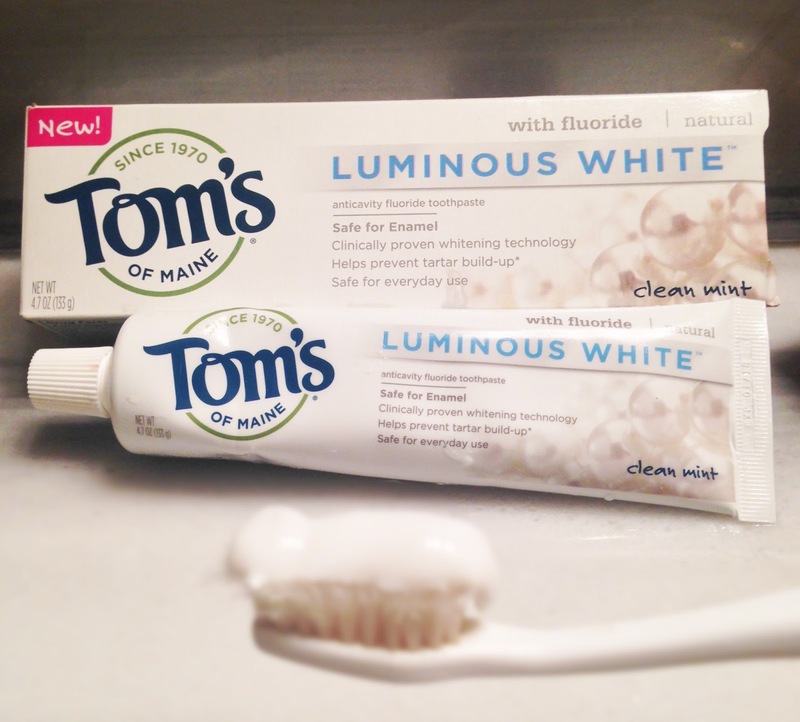 Tom's of Maine Luminous White Made to Matter Toothpaste is one of the things that is helping me with this. Not only do they have a reputation for using the most natural ingredients, but their new products work really amazing while doing so. I purchased their Luminous White Toothpaste which is exclusively sold at Target, and was very happy with the results from the first use. 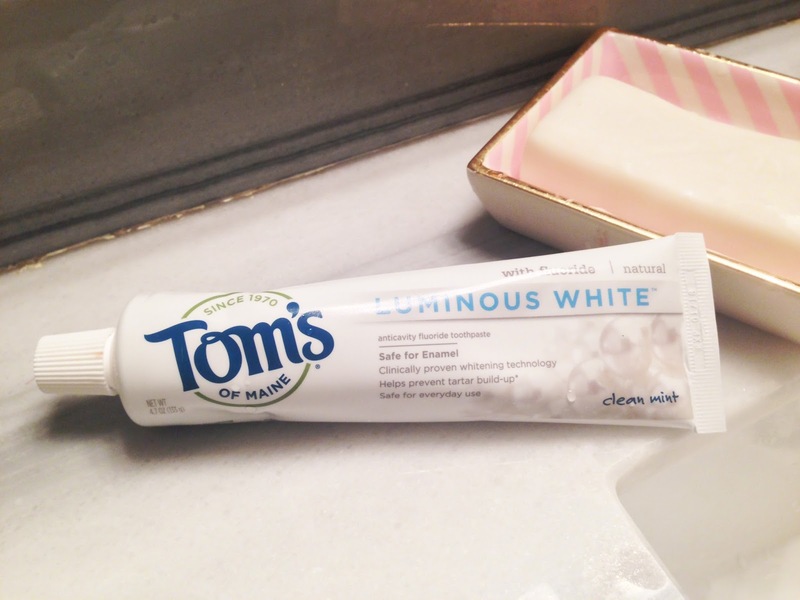 Not only did it not include ingredients that I didn't need, but it left my mouth and teeth feeling extremely clean and fresh. I've never been one to "celebrate" or do anything for Earth Day but now I realize that I'm celebrating it every day. I walk a lot more than driving or taking mass transit, I started to grow my own herbs and vegetables in order to ensure that I'm only putting the best, organic ingredients into my body and I try to not be wasteful overall in terms of saving energy when it's a cool night out, etc. All of my loyal readers know that I'm slowly making the transition into living a greener lifestyle and I can't only do that with the foods in eating. 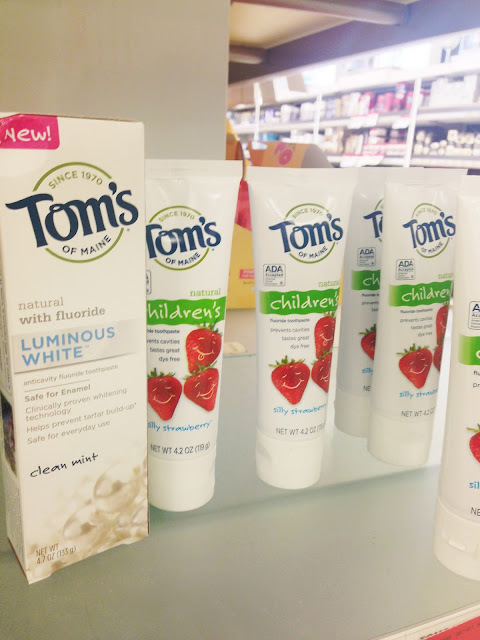 Buying from a company like Tom's of Maine, which I never would have done before while I was living in New York City, is just an extra step in helping me live a better a greener life. It's especially easy when the product totally rocks and I can give it a glowing recommendation. Make sure to put these items on your Cartwheel App and take advantage of their cartwheel offer so that you don't forget to grab it on your next trip to Target! And if you've got a man in the house or kids that you're buying toiletries for check our their other Made to Matter items like the North Woods deodorant for men as well as their Wicked Cool! one for kids so that the whole family can get involved!